We thought we’d start to keep you up to date with a few of the things going on in some of the Totally Locally Towns. Around 150 people have turned out in Crickhowell High Street in Powys to oppose plans to convert a pub in the High Street into a convenience store. Around 1,500 have already signed an online petition opposing the plans say campaigners. Protestors say the town centre is almost entirely served by family-run shops and stores and the independent stores “are a major draw for tourists”. They’re now trying to prevent a national chain from turning the The Corn Exchange pub into a convenience store. Crickhowell boasts one of the few independent High Streets in Wales, it’s one of the towns unique selling points. Crickhowell is already well served by 3 independent convenience stores, two butchers, a bakers, an off licence and a florist, to name a few would suffer loss of business as a result of this application being granted. The whole dynamic of our town would change dramatically. The planning application will be decided by the Brecon Beacons National Park. Residents of a pretty market town in the Brecon Beacons are preparing for a David versus Goliath-style battle in a bid to stop plans to turn their local pub into a supermarket. 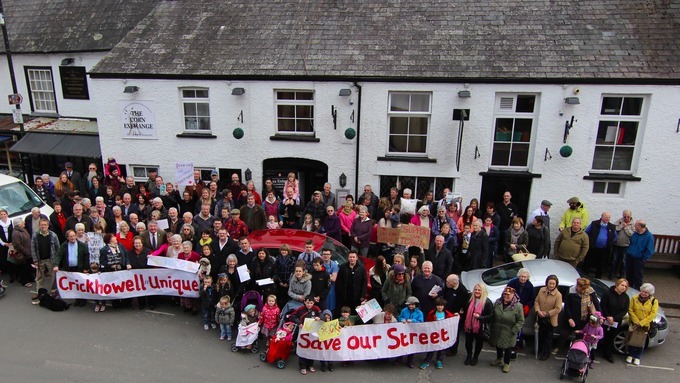 Protesters will gather in Crickhowell on Friday to fight the planned development which they fear could put their traditional family businesses and high street in jeopardy. The demonstration is part of a “front-line battle” to protect the Corn Exchange pub from a plan by a large national chain that they fear will change the local retail dynamic forever. Punch Taverns has applied to the Brecon Beacons National Park Authority to turn the Corn Exchange into a retail outlet. The planning application has been lodged to turn the pub, in High Street, into a shop open between 7am and 11pm. But residents say the town is served almost entirely by family-run shops and stores – with the exception of Boots – and they like it that way. Emma Corfield-Walters, from the Totally Locally Crickhowell Campaign, said: “We absolutely do not want a chain store in Crickhowell. “Crickhowell boasts one of the few independent high streets in Wales – it’s one of the town’s unique selling points. “Crickhowell is already well served by three independent convenience stores, two butchers, a bakers, an off-licence and a florist to name a few. She said Crickhowell’s town centre’s independent shops were a major draw for tourists into the Brecon Beacons National Park. 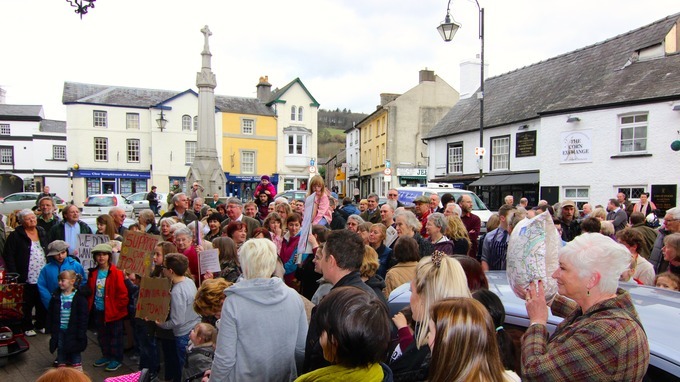 Totally Locally Crickhowell have launched an online petition with 500 signatures so far and are urging residents to protest to their council about the plan. 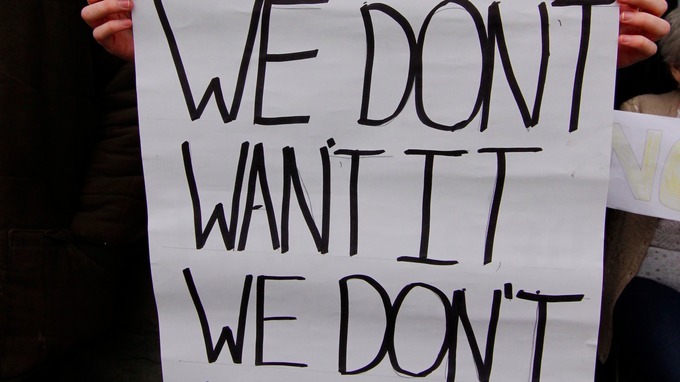 The number of pubs in the UK has fallen from nearly 60,000 12 years ago, to about 48,000.
over 1500 signatures were gathered on the petition in 24 hrs, and a mass demonstration happened the next day.